Prostate Cancer surgery is becoming more common in the United States and more men are surviving with minimal aftereffects. I”m sure the temptation to ‘live life to the fullest’ is what is on many minds, however, maintaining a healthy, active lifestyle is paramount to survival. Eating a low-carb, low-salt and low-fat diet doesn’t have to be the bane of your existence. 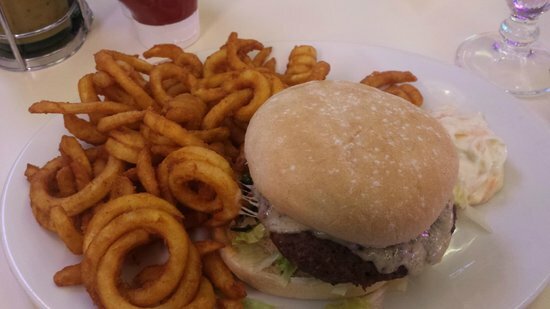 The temptation to devour double cheeseburgers, thickly seasoned curly fries and shakes every day for lunch would push any man to obsession. Prostate cancer survivors who eat a typical American diet loaded with red meat, cheese and white bread are far more likely to see their cancer come back and kill them, and they’re more likely to die sooner of any disease than patients who eat a healthier diet, researchers reported Monday. It’s yet another piece of evidence showing that the so-called Western diet can worsen the risks for cancer, as well as all sorts of other diseases fromheart disease to Alzheimer’s. Many studies have shown it doesn’t take a whole lot of adjustment to greatly lower the risks. 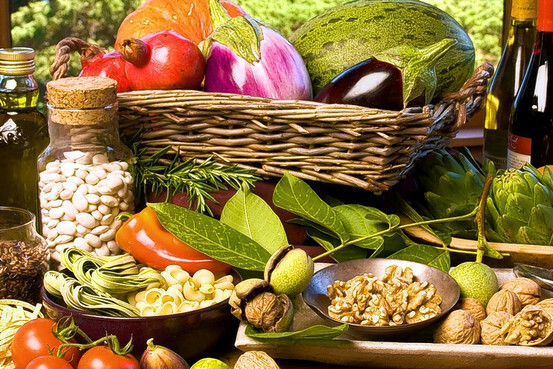 So-called Mediterranean-style diets, with plenty of fresh vegetables and fruit, olive oil instead of saturated fat, whole grains and more fish than meat, ward off these same diseases. Mediterranean-style diets are full of flavor, color, texture and have so much variety to boot. I’m not saying give up an American Diet, just be smarter about it. Having an occasional cheeseburger and no-salt fries is ok. Eating healthy isn’t all about ‘rabbit food’ and dry, boring salads. There are hundreds of thousands of Mediterranean based cookbooks out there, yours truly even has four of them found on this website. The basis of the diet is low-fat meats-chicken, many types of fish and seafood, lean pork and a plethora of low-carb vegetables-asparagus, broccoli, cauliflower, winter squash, green beans, any type of dry beans, leafy greens such as kale, spinach and so many more. Instead of frying or deep frying foods, the Mediterranean Diet based foods suggest sauteeing and lightly frying with Extra Virgin Olive Oil and light vegetable oils. These are more healthy and do not clog arteries. Of course, exercise is the second part of surviving prostate cancer surgeries! Walking is still the best form of exercise, along with light strength or light weight training. For more information on Prostate Cancer, click to the Prostate Cancer Foundation, an organization I fully endorse. ← Upgraded to Samsung Galaxy Note Edge!